D’HANIS, TX- If you follow Jamie Lin Wilson on social media you’ll notice she finds a way to have it all, from being a real housewife of her small town D’hanis with her signature hashtag, to traveling all over the world sharing her songs. 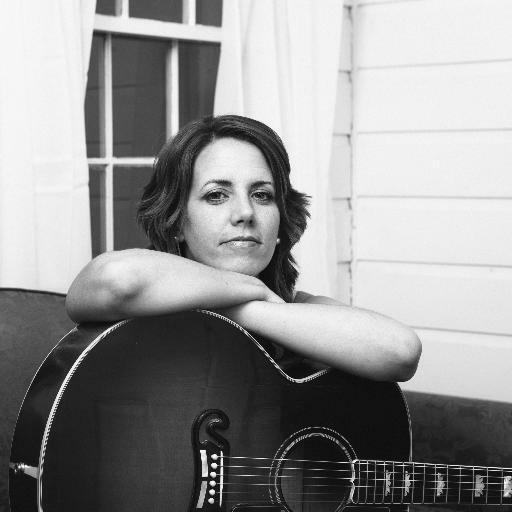 I caught up with the busy songwriter for a phone interview recently, catching her on her travels to Dallas for a weekend tribute to Guy Clark where she played with The Trisha’s. Wilson started her musical career in a band called The Gougers in College Station Texas during her college years, but she stumbled upon it accidentally, without any intentions of being a musician at all. Wilson started singing at the songwriter night there in town where she met Shane Walker, who had the band The Gouger’s. He told Wilson they needed a girl in the band and asked if she was interested and she was. They played almost every night in College Station at the time, they put out an album and an EP and it lasted for seven years before it ran its course as a band, but that didn’t stop Wilson from continuing to pursue music. After the Gouger’s disbanded Wilson recorded her own EP, Dirty Blonde Hair in 2010. “I recorded like six songs, I never really did anything with them except for have them because I wanted them. I wanted to do it and I saw the Trisha's were forming, I could tell it was going to happen so I wanted to get the songs down before that, like this is me before I go from one band to another, this is what I sound like,” explained Wilson. The Trisha’s did happen, they formed in 2010 and blazed a trail throughout the Texas music scene, and beyond. They recorded an EP They Call Us the Trisha’s in 2010 and a full length album High, Wide and Handsome in 2012. The band toured all over the place and all of the ladies made their mark with it. They get together for a few gigs a year still, but like the Gouger’s it just ran its course and it was time for Wilson to do something on her own once again. Wilson released Holidays & Wedding Rings in 2015, her first full length album. It’s filled with a fantastic assortment of songs about real life, ones most everyone can relate to and find truth and meaning in. “That’s the easiest thing is to write what you know, so that’s what I did. Occasionally I can do a third person thing, like a story song, but the majority of my songs come from something that either happened to me or happened to somebody that I'm close to,” said Wilson. Wilson stays quite busy with her music; She played Medicine Stone in September, just recently got back from a tour around Europe with Sunny Sweeny, made a quick jaunt to Nashville to play with former singer of Sixpence None the Richer Leigh Nash at the Blue Bird Café, and played the two day Guy Clark tribute show in Dallas last weekend with the Trisha’s. Watching her on social media she makes it look rather easy balancing that with her home life which consists of her husband Roy and their three children ages 6,3 and 2. Wilson praises her husband and close knit family and town for their unwavering support and help with her family that allows her to travel and do what she does without worrying that her kids are missing out on anything in the process. Not only do they have both grandmas close at hand ready to spoil the kids rotten, but the town they live in offers a great amount of support with the small town mentality of everyone helps everyone out. D’hanis has approximately 600 people, and Wilson says everyone really does love everyone and always jumps in to help one another. Wilson does appear to make it work, you can catch her making homemade yogurt and building Halloween signs on Instagram during her times at home. She talked at length about a giant Halloween party her and a couple of friends did last year and are working on again this year. They went and got about thirty empty washer and dryer boxes from a local store and created a haunted tunnel, among other entertaining things. Wilson also has a pet llama, who was cleverly named ‘Como Se’. She has a great sense of humor and a genuine and vivacious laugh. Wilson thoroughly enjoys her home life and getting to have the best of both worlds. Wilson has a great head on her shoulders and a realistic view about life in general that definitely comes through in her songs. She says she is currently writing, but will also focus on it a lot more early next year and see if she can turn those songs into another album. It doesn’t look like she will get much of a break until then to do so. Wilson has a handful of shows throughout Texas for the next couple weeks and then she is going on a run with Courtney Patton to the Northeast, including shows in Delaware, Maryland and New York in mid November. December 9th starts her Hard Candy Christmas Tour with Sunny Sweeny, Courtney Patton and Brennen Leigh. They will have two stops in Oklahoma for this tour, December 10th at Blackbird on Pearl in Tulsa and ending the whole tour at The Blue Door in OKC on December 18th. “That Blue Door show is going to be ridiculous because by the end, with like 12 shows or something and that's the very last one, so by the end of it we’re going to have all of our show worked out. We’ll have worked out all of the jokes that we think are funny, probably have a lot of costumes by then and a lot of decorations, a lot of inside jokes that will alienate the crowd,” laughed Wilson. After that Wilson will be going to the Music Fest in Steamboat and to the Red River Songwriter’s Festival in New Mexico, both in January. Our own Oklahoma “golden boy” John Fullbright joins Wilson at the Red River Festival, and Wilson said they have been in touch about maybe booking a few gigs together on the ride out there, which would be a fun collaboration. “He and I have been texting back and forth lately about making a touring thing out of it. He will be driving from Oklahoma and I'll be driving from South Texas, so figuring out where we can go meet and play a couple shows before, maybe Lubbock. I need to draw a couple of straight lines from Okemah and from here and just see where they meet. Logistics. My whole life is just logistics.” Said Wilson. That leaves life slowing back down just a bit in February, when maybe she can stop and catch her breath for a minute.